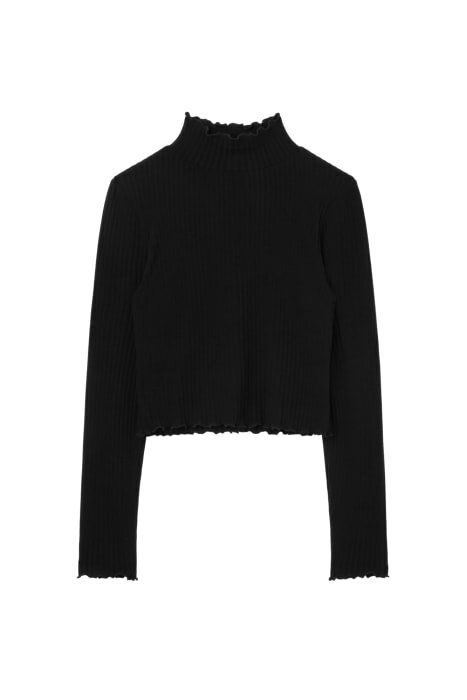 Hit refresh on the day drawer with this black Frilly Edge Top. 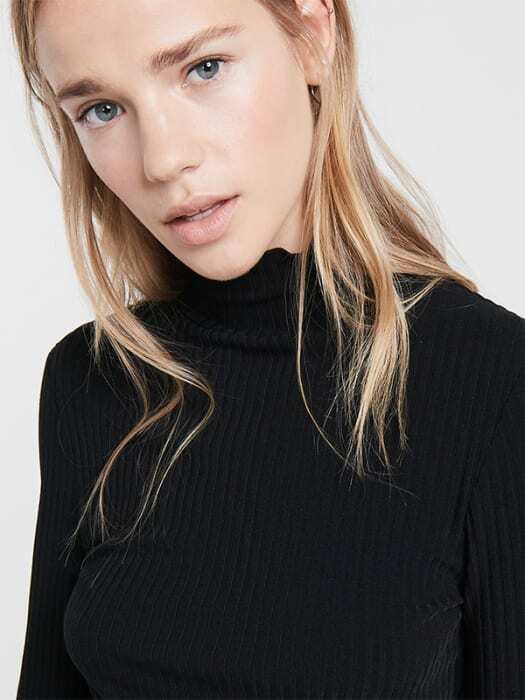 Cropped at the waist, puckered at the hems, and crafted from a stretchy ribbed jersey, this long sleeved, high neck staple will prove an around-the-clock favourite. Trust us.